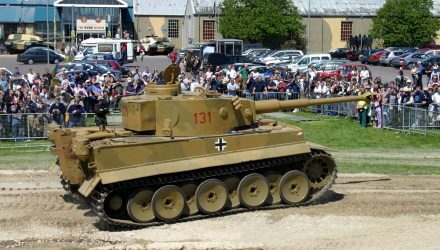 In some ways seeing Tiger 131, or any tank for that matter, at the Tank Museum is slightly misleading and doesn’t necessarily give a full impression of the impact they had at the time. This is because, for all their imposing mass and presence, we generally only have one of them. On the battlefield if a tank was operating alone it was likely something had gone very wrong. They were formed into units so that the crews could support each other both in combat and with the daily routine of maintenance and life on campaign. A single Tiger wouldn’t last long on the battlefield. 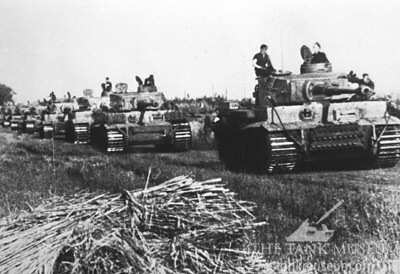 Every combatant during the Second World War organised their tank forces into units of roughly similar size. The smallest was, in English, the Platoon (Zug in German or Взвод (vzvod) in Russian). This generally consisted of around 15-25 men crewing 3-5 tanks, with exact numbers varying from nation to nation. They would move, fight and live together as one unit. Incidentally, platoon structure may well be the source of the myth that 5 Shermans were needed to destroy a Tiger. American Shermans operated in platoons of 5, so 5 Shermans were needed to do anything. The next largest unit, a Company, Kompanie, or Рота (rota) usually consisted of 3 or 4 Platoons and some kind of small command and support element. This element allowed a Company to be capable of limited independent operation. This post takes a look at the organisation of the German Panzerzug and Panzerkompanie. Tiger IIs lined up by Zug. 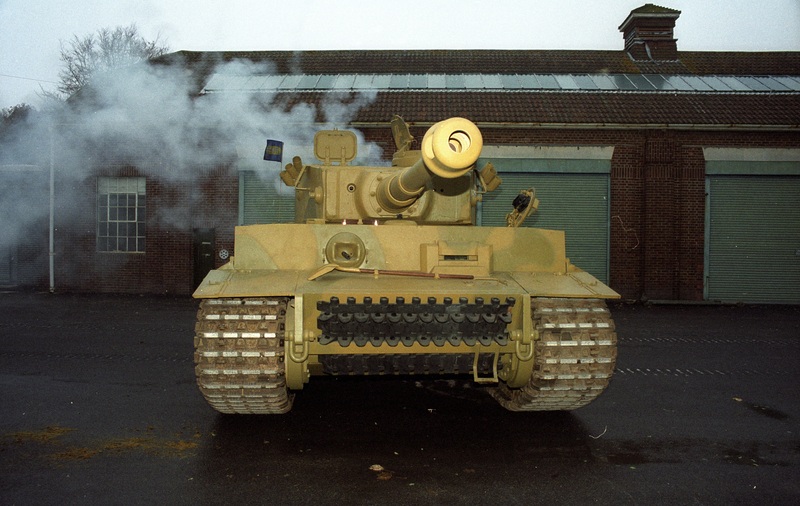 German Panzerzüge equipped with Tigers consisted of 1 officer, 11 NCOs and 8 enlisted soldiers, for a total of 20 men crewing 4 Tigers. 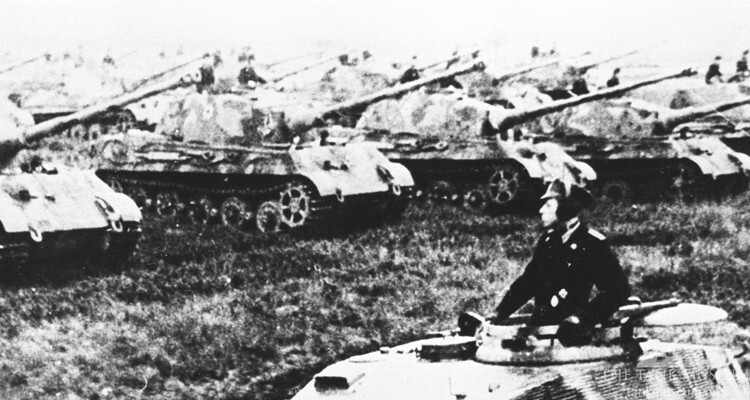 Training for German panzer crews emphasized the attack, or the counter-attack if they were on the defensive. When moving on the battlefield the tanks of each Zug would support each other, with crews alternately firing and moving by half-platoon or individually, so that there were always tanks moving, and always tanks spotting and engaging the enemy. This mutual support was vital for survival and formed the basis for more complex tactics. A single tank would only be able to do one of these things, making it highly vulnerable. 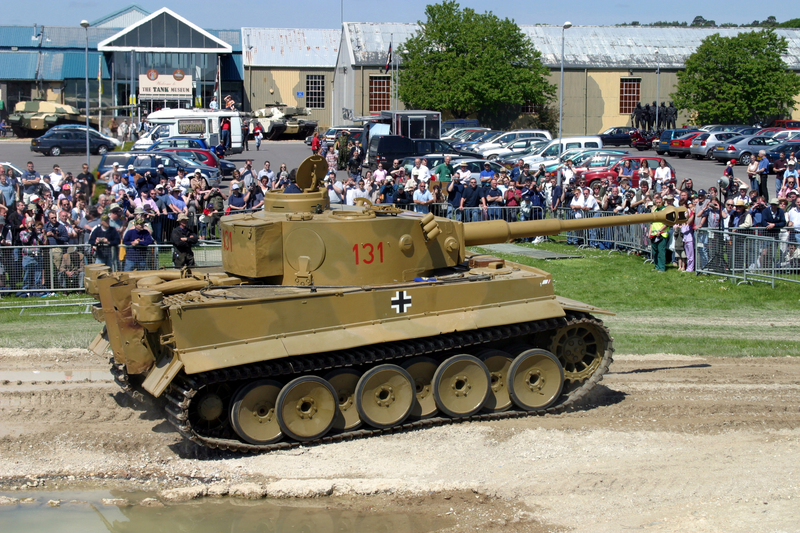 That being said, the German situation towards the end of the war sometimes meant that Tigers had to be committed individually, as there weren’t always enough available to assign a Zug to every unit that needed tank support. Out of combat the men of the Zug lived and worked together. The range of day to day maintenance, administrative and personal tasks required (everything from cooking to guard duty to replacing a track) would have overwhelmed a crew of 5, but could be managed by the 20 man Zug. 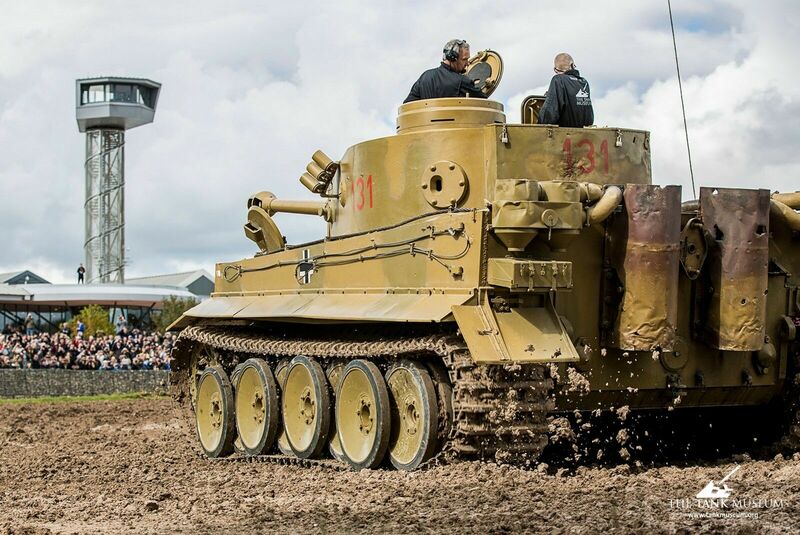 A column of Tiger Is, something a museum can never replicate. Three Panzerzüge and a command element made up the Panzerkompanie. This command element was known as the Gruppe Führer and consisted of 18 soldiers (1 officer, 9 NCOs and 8 enlisted men) manning a further 2 Tigers, 2 motorcycles or Kettenkrads, and 2 light off-road vehicles, generally Kübelwagens or equivalents. Over and above the 10 men needed for the tanks there were 2 despatch riders, 2 drivers for the Kubelwagens, the Company Sergeant Major and his clerk, an Armourer and an Equipment NCO. 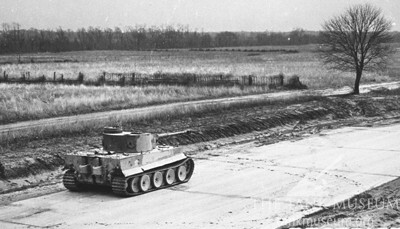 The Gruppe Führer could offer only limited support to their Züge and there’s no question that for larger quantities of supplies or longer operations the Panzerkompanie was dependant on the much more comprehensive support infrastructure of the Battalion (Abteilung) of which it was part. 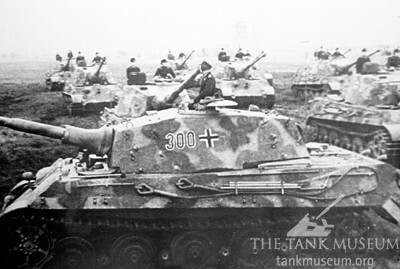 The Kompanie also included 2 replacement Tiger crews, 10 soldiers, who would travel with the Battalion’s Supply Company and could be put to work by this unit. This organisation is how a Kompanie was supposed to be organised and manned as of June 1944, with a total strength of 88 men and 14 Tigers. 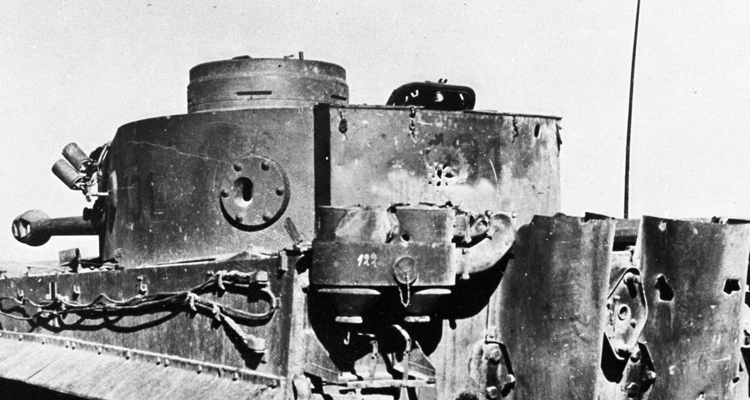 The reality, especially towards the end of the war, could be very different, with lost tanks unable to be replaced and wounded soldiers leaving gaps in the unit’s manpower. Written by Ian Hudson, The Tank Museum. Very intresting to hear that things have not changed in tanks to this day, from World War 2. These tankers faced enemies on both sides and the best fought the Russians. I wish the German Veterans would attend an events so we could here things from their posspective.